Jim got his start on NBC’s Washington affiliate, and over the years, the network offered him exciting opportunities. Their Experiment in Television series that ran from 1967 to 1971 came at a perfect time in Jim’s career. His short film Time Piece was a success, he was exploring the possibilities of a psychedelic night club, and he was pitching his surrealistic drama The Cube. Experiment in Television was meant to showcase new talent and new ideas and featured documentaries, dramas, short films, music reviews, and programs from the BBC. 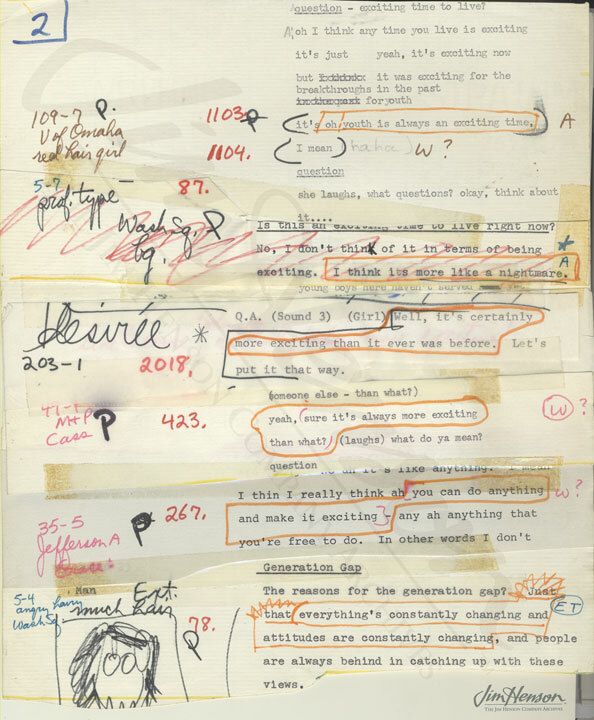 The offerings ranged from Theatre of the Deaf and Fellini to a look at Marshall McLuhan’s message about media and George Plimpton’s presentation of shorts from the “Now Generation”. Jim’s idea for a show about the youth culture fit right into the series. 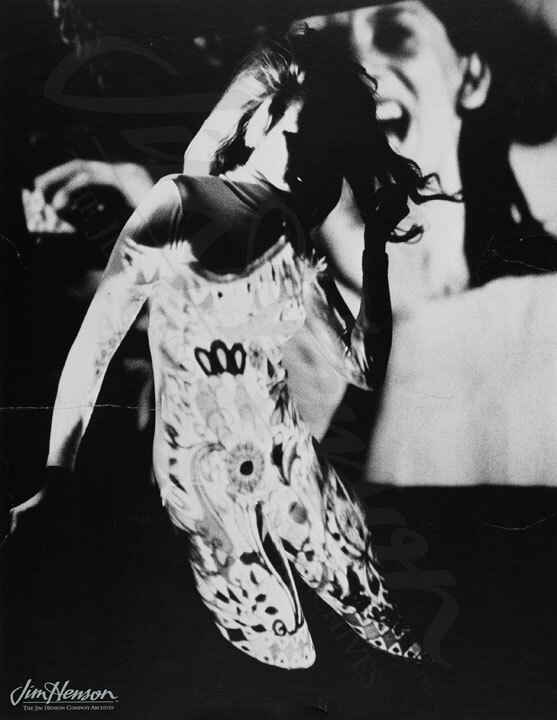 Billed as, “…an exciting mixed-media portrait of youth today…,” Youth ’68 was a visual and sound collage of interweaving interviews, literary quotations, popular music and modern dance. 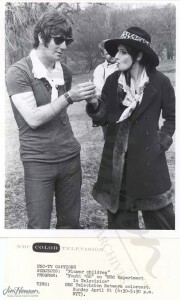 Produced by Jim Henson and directed by Jon Stone (future Sesame Street collaborator), this fast-paced documentary addressed such topics as drugs, religion, love, war, and the future and featured appearances by rock groups Jefferson Airplane, The Mamas and The Papas, and The Vanilla Fudge. By talking to people of all ages in Miami, Los Angeles, San Francisco, Omaha, Houston and New York, the show attempted not to editorialize but to demonstrate the juxtaposition of different value systems within the context of a changing world. Because Jim was young but also professionally established, he felt like he was a part of both generations. By contrasting the different viewpoints and attitudes of each age, Jim created a portrait of society as a whole. For Jim, the means by which the show was produced was equal in importance to the message. NBC provided a budget of $100,000 and the use of their facilities, which allowed Jim, who was always interested in stretching the technological possibilities of television and film to their limits, the opportunity to try out many new techniques. 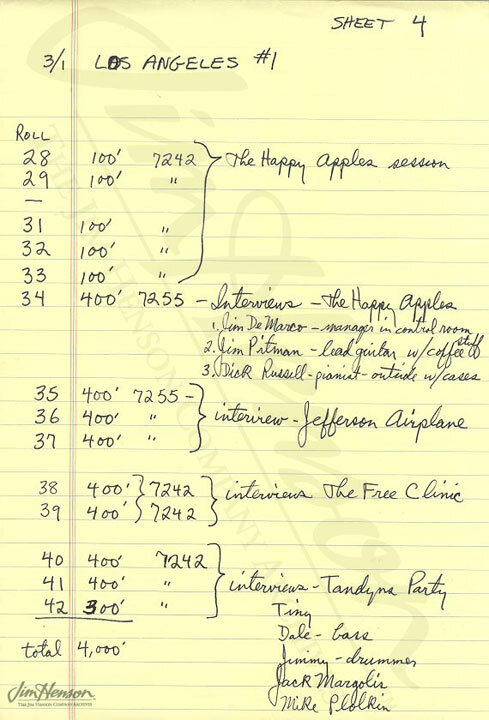 In his review of the show which aired on April 21, 1968, critic Ralph J. Gleason wrote, “No television program on a commercial network that I have seen utilized the possibilities of the TV camera to the extent this show did. Split images separated not by lines or by boxes but by a jagged edge of film, reverse, swirling lights, inter-cuts, all the facility which modern electronics and film has given us, were used.” As evidenced by the pile of positive fan mail received by NBC and its good reviews, Youth ’68 was a success. See a clip from Youth ’68. Dance sequence from Youth ’68. 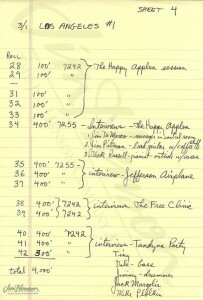 Jim’s list of footage to be edited together to create Youth ’68. 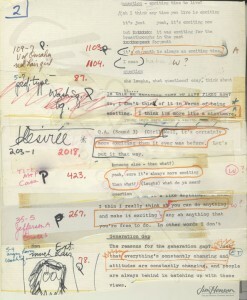 Jim’s Youth ’68 editing script. NBC publicity still from Youth ’68. This entry was posted in 04-April '68, 1968, Youth 68 and tagged BBC, Experiment in Television, Jefferson Airplane, Jon Stone, Mamas and The Papas, NBC, Vanilla Fudge. Bookmark the permalink.